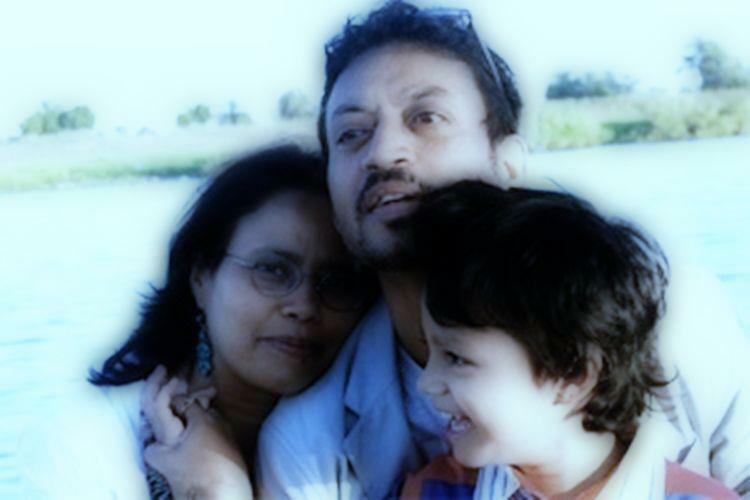 Irrfan Khan is an Indian actor in film, television, and theatre who has also acted in many international projects. Khan is perhaps India's best known international actor due to the critical acclaim he has received for his roles in Hollywood films. 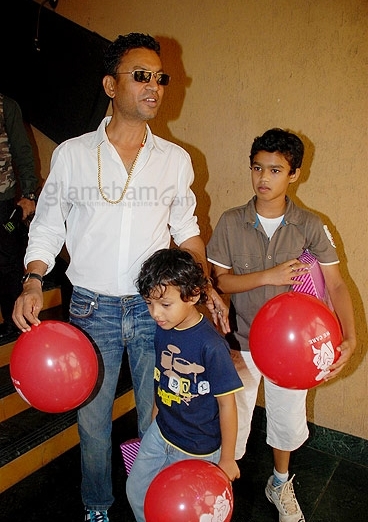 Irrfan Khan was born on Nov 30th, 1962 as Sahabzade Irrfan Ali Khan in Jaipur, to a Muslim family. Khan's mother, Begum, was from the Tonk Hakim family, and his father, the late Jagirdar, was from the Khajuriya village near the Tonk district, and ran a tyre business. 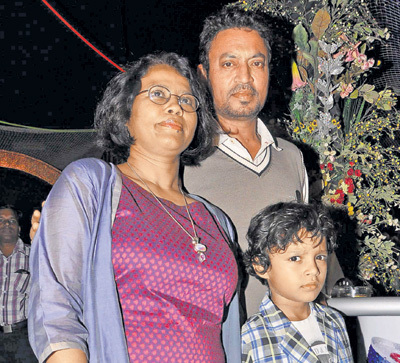 On 23 February 1995, Irrfan Khan married writer Sutapa Sikdar, who is also an NSD graduate. 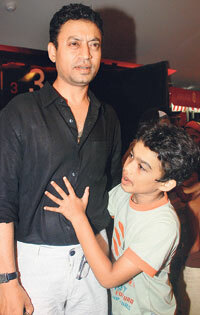 They have two children named Babil Khan & Ayaan Khan. He has two brothers, Imran Khan and Salman Khan and one sister Rukhsana Begum. 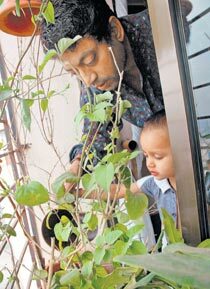 Just like most of the actor wishes that their son or daughter would also become an actor, looks like very versatile and award winning actor Irrfan Khan is also planning something similar to carry out with his son. 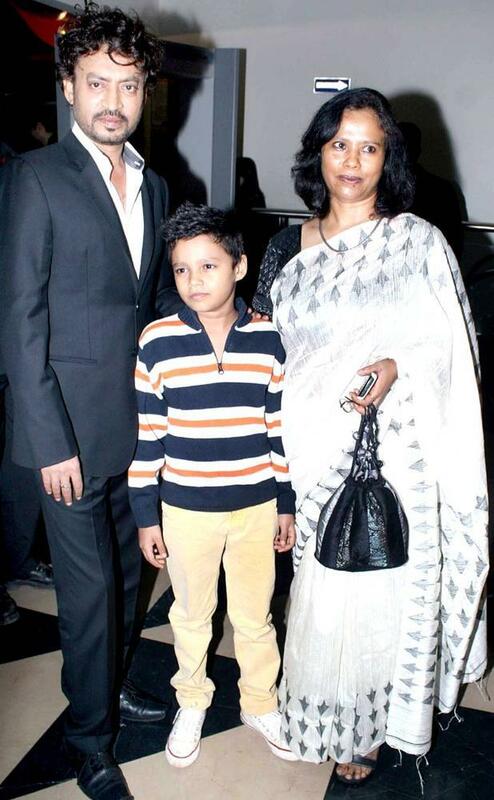 Irfan Khan's 7-year-old boy, Ayaan Khan, is totally geared up to showcase his talent in such a small age. He was seen in a very brief role in the Hollywood film, Life Of Pi, which is directed by an academy award winner Ang Lee. The film features Irrfan and Tabu in lead roles. 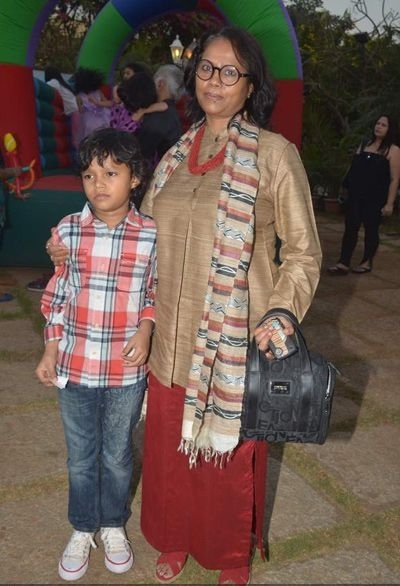 Reportedly the small little boy, who is been shown in the film promos, is none other than Irrfan Khan's son Ayaan Khan, and just like his father it is being said that he was pretty much relaxed while facing the camera. 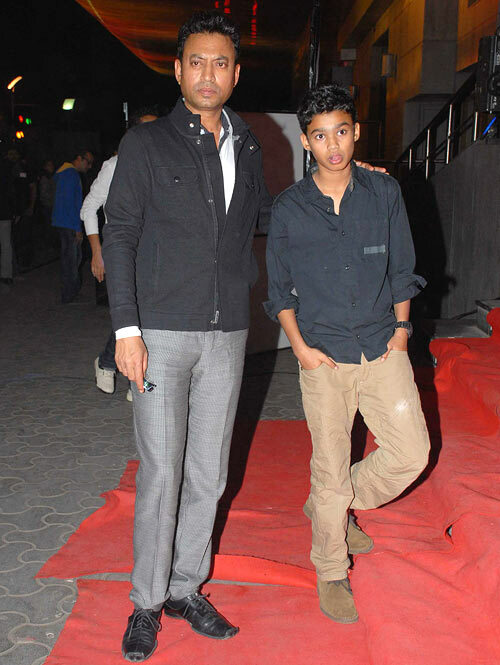 According to the sources Ayaan Khan acted as Pi's (played by Suraj Sharma) younger brother in the movie. 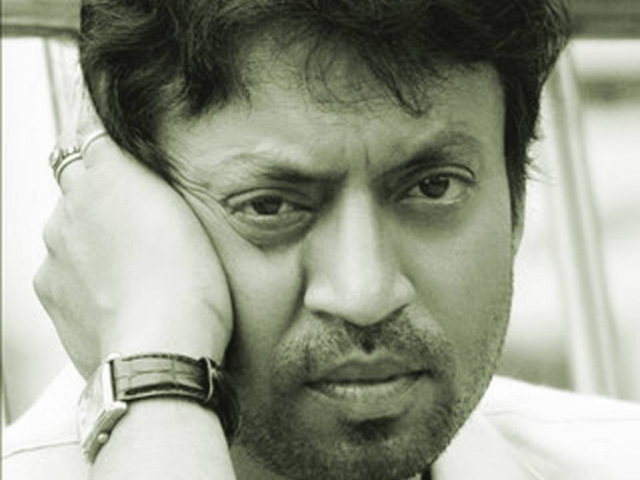 In India, Irrfan Khan gained the reputation of a skilled actor from his roles in Bollywood movies such as The Warrior, Maqbool, Haasil, Paan Singh Tomar and Rog. He also hosted the TV show Mano Ya Na Mano and appeared in popular Vodafone commercials. In 2012 he appeared in the lead titular role in Paan Singh Tomar, a biopic about an athlete. Both the movie and Khan's performance received critical acclaim. He has appeared in more than 30 films in Bollywood. Irrfan Khan's English-language mainstream work includes character roles in movies like The Namesake, New York, I Love You, A Mighty Heart, Slumdog Millionaire, The Amazing Spider-Man, and Life of Pi, as well as in the HBO series In Treatment. Irrfan Khan has won three Filmfare Awards, a Screen Actors Guild Award, and an Independent Spirit Award nomination. He is also the recipient of 2011 Padma Shri award, the fourth highest civilian award in India. He has garnered the National Film Award for Best Actor in the 60th National Film Awards 2012, for his performance in Paan Singh Tomar. Irrfan Khan was studying for his MA degree, when he earned a scholarship to study at National School of Drama (NSD) in New Delhi in 1984. 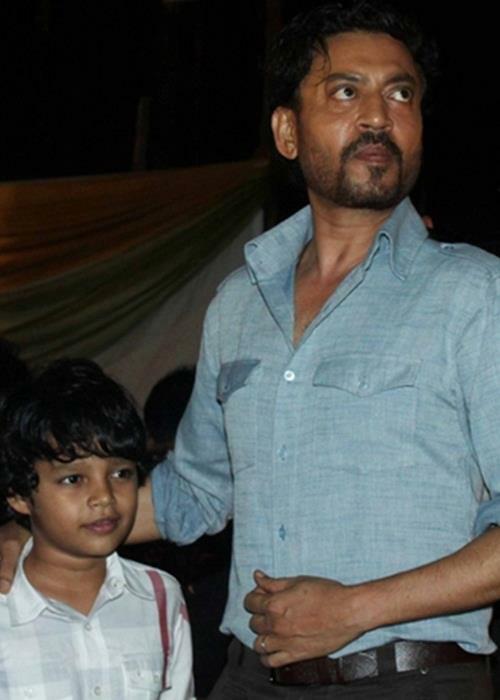 Irrfan Khan moved to Mumbai, where he acted in numerous television serials like Chanakya, Bharat Ek Khoj, Sara Jahan Hamara, Banegi Apni Baat, Chandrakanta (Doordarshan), "AnooGoonj" on Doordarshan" Star Bestsellers (Star Plus), and Sparsh. Much before these, he had acted in a teleplay on Doordarshan named Laal Ghaas Par Neele Ghode where he played Lenin. It was based on a translation by Uday Prakash of a Russian play by Mikhail Shatrov. He was the main villain in a series called Darr (which aired on Star Plus), where he played the role of a psycho serial killer, opposite Kay Kay Menon. He also played the role of famous revolutionary Urdu poet and Marxist political activist of India Makhdoom Mohiuddin in Kahkashan produced by Ali Sardar Jafri. He acted in some of the episodes of Star Bestsellers (aired on Star-Plus). In one of the episodes (Ek Sham Ki Mulakat), his role was of a parchoon shopkeeper who has a misconception that his landlord's wife is trying to seduce him and it turns out that his own wife (Tisca Chopra) is cheating on him. In the other one, he played the role of an office-accountant who, after being insulted by his female boss, took revenge. He also appeared in a serial called Bhanvar (aired on SET India) for two episodes. In one episode, he performed the role of a thug who somehow lands in court. Theatre and television kept him afloat until Mira Nair offered him a cameo in Salaam Bombay (1988) though his role was edited out in the final film. In the 1990s he appeared in the critically acclaimed film Ek Doctor Ki Maut and Such a Long Journey (1998) and various other films which went unnoticed. After many unsuccessful films, things changed when London-based director Asif Kapadia gave him the lead in The Warrior, a historical film completed in 11 weeks on location in Himachal Pradesh and Rajasthan. In 2001 The Warrior opened in international film festivals, making Irrfan Khan a known face. In 2003–04 he acted in Indian born writer-director, Ashvin Kumar's short film, "Road to Ladakh". After the film received rave reviews at international festivals, the film is now being made into a full length feature, again starring Irrfan Khan. That same year he played the title role in the critically acclaimed Maqbool, an adaptation of Shakespeare's Macbeth. His first Bollywood main lead role came in 2005 with film Rog in which his performance was praised by critics. Thereafter he appeared in several films either playing the leading role or a supporting role as a villain. In 2004 he won the Filmfare Best Villain Award for his role in film Haasil. In 2007, he appeared in the box office hits Metro, for which he received a Filmfare Best Supporting Actor Award, and The Namesake. His chemistry with Konkana Sen in Metro was one of the highlights of the Multi-star movie. They were closely followed by his appearance in the international films A Mighty Heart and The Darjeeling Limited. Even after becoming a successful actor in Bollywood, he has not severed his ties with television. He anchored a show Mano Ya Na Mano (airing on Star One). He hosted another programme named Kyaa Kahein which was similar to Mano Ya Na Mano. In 2008, he was featured as a narrator in an Arts Alliance production, id – Identity of the Soul. The performance toured worldwide, with tens of thousands turning out to see the event as it toured the West Bank. He also plays the police inspector in the 2008 film Slumdog Millionaire, for which he and the cast of the movie won a Screen Actors Guild Award for Outstanding Performance by a Cast in a Motion Picture. In 2009, he featured in the film Acid Factory. Khan has stated that he wants to do more and more action films in the future. He also appeared as an FBI agent in New York and as a Gujarati diamond merchant in New York, I Love You. His latest film Paan Singh Tomar in which essays the role of real-life Rajput runner Paan Singh Tomar has received extremely favourable reviews by critics. Irrfan Khan has been highly praised. He recently worked on the third season of the HBO series In Treatment, enacting the part of Sunil, who is finding it difficult to come to terms with his wife's death and loneliness after moving to New York, USA. 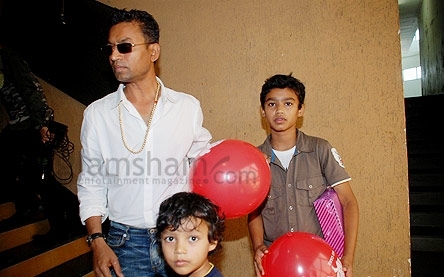 In addition, Irrfan Khan signed a contract to be in the new Kabhi Khushi Kabhie Gham remake in December 2011. Irrfan Khan played Dr. Rajit Ratha in The Amazing Spider-Man in 2012.